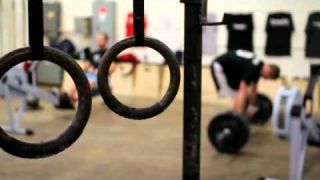 We are a Crossfit-dedicated gym located in Reston/Herndon, Virginia. We provide a high-intensity core strength and conditioning program that focuses on all ten components of optimal physical fitness: endurance, stamina, strength, flexibility, power, speed, coordination, agility, balance, and accuracy. We offer group personal training and private training. Our group personal training sessions integrate techniques and skill work with highly varied, challenging workouts. Our one-to-one personal training sessions provide focused individual guidance and coaching tailored to the individual's needs and goals.